Will Putin Stop At Nothing? The International Tennis Federation is investigating allegations that Tommy Haas was poisoned before Germany's Davis Cup match against Russia. Haas was forced out of his match against Mikhail Youzhny with a suspected stomach virus as Russia won both reverse singles matches on Sept. 23 to win the semifinal series 3-2 and reach the Davis Cup final. German teammate Alexander Waske said he was told by a Russian who manages numerous athletes that it was poisoning, not a virus. Waske didn't say who the manager was. "He said as an aside, that it was bitter that Tommy Haas was poisoned," said Waske, who answered the man by saying that it was a virus. "Thereupon he said, no, they poisoned him." 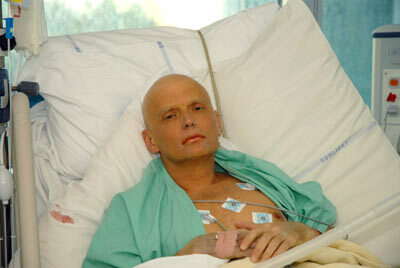 Yuschenko, Litvinenko, and now Haas--all in the name of Russian national pride.